Submitted by Norm Roulet on Tue, 11/16/2010 - 13:33. November 14, 2010, AlterNet featured an important article by G.W. Schulz, Center for Investigative Reporting: Workers, Be Careful: Facebook Snoops Looking Over Your Shoulder - Corporations and government agencies, including the Department of Homeland Security, are increasingly using new communications tools for surveillance purposes. In this report, Schulz profiles "a new company called Social Intelligence billing itself as a social media private eye will observe your Twitter, Facebook, LinkedIn and other online accounts on behalf of employers to make certain you’re not a liability." Background checks involving criminal records and credit histories are typical and even expected of many major employers responsible for children, nursing homes or public safety. Social Intelligence is the latest in an ever-expanding movement by both corporations and government agencies, including the Department of Homeland Security, to use new communications tools for surveillance purposes. Some of the most provocative examples yet emerged only in recent weeks. Internet.com pointed out Sept. 29 that Social Intelligence doesn’t actively “friend” users to surreptitiously access more private posts online. Government investigators, meanwhile, will quietly friend you and more generally use social media to seek out evidence of possible security threats and spy on political organizations. New documents unearthed recently in Pennsylvania show that state homeland security officials used Twitter accounts to watch people who had not violated any laws, including elderly anti-war protesters linked to Quaker activism. Narcissistic tendencies in many people fuels a need to have a large group of ‘friends’ link to their pages, and many of these people accept cyber-friends that they don’t even know. … Once a user posts online, they create a public record and timeline of their activities. 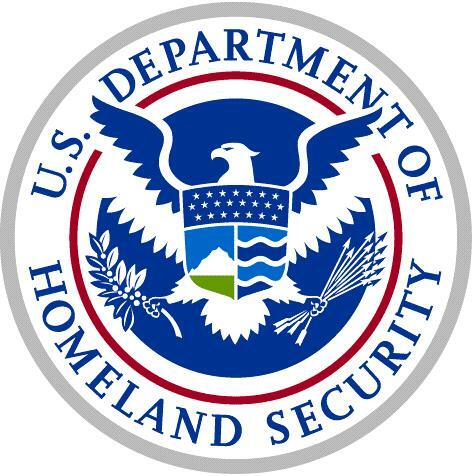 In documents made publicly available earlier this year by the Department of Homeland Security, officials described another new program for maintaining “situational awareness” that involved tracking social media sites and other online destinations. Personnel at the department’s National Operations Center scan the Web using dozens upon dozens of key search terms and phrases, among them “militia,” “cops,” “riot,” “dirty bomb,” “Mexican army,” “decapitated,” “Iraq,” “radicals” and many more. The NOC stores and analyzes its results before determining what tips should be distributed to other government agencies and even private companies authorized to receive such information. The Department may use social media for other purposes including interacting with the public,disseminating information to the public, as well as law enforcement, intelligence, and other operations covered by applicable authorities and PIAs. For more information on these social media PIAs, visit www.dhs.gov/privacy. Based on a recent experience I had with the United States Border Patrol, on U.S. soil, while travelling I-10 in Texas, I'd say it is safe to assume the DHS monitors and shares information from realNEO as well. when the hotel is under attack by terrorists. 2010); and 3) April 2010 BP Oil Spill Response Social Media Event Monitoring Initiative (April 29, 2010). social media monitoring will not be issued, instead, they will be covered by this overarching PIA. monitoring Internet-based platforms and information technology infrastructure. decision makers consistent with Section 515 of the Homeland Security Act (6 U.S.C. § 321d(b)(1)). accept other internal/external personal users’ invitations to connect; or 5) interact on social media sites. that supports providing situational awareness and establishing a common operating picture. operating picture. The NOC will assess information identified to assist decision-makers. buried under rubble, or hiding in a hotel room when the hotel is under attack by terrorists. common operating picture, and more timely information for decision makers. information. See Appendix B for the types of search terms used in social media monitoring. agreements defined the collection of information? not retrieved by personal identifier so a Privacy Act System of Records Notice is not required. social media sites and is available to the public. of the data being used. requiring and authorized to receive situational awareness and a common operating picture. of data may be produced? final analysis will be used to provide situational awareness and establish a common operating picture. please explain why and how it is used. ground” information to help corroborate information received through official sources. with the above described uses. policy that any PII inadvertently collected shall be redacted immediately before further use and sharing. NOC will not actively collect or use any PII. schedule by NARA, as well as to maintain records necessary for further use by the Department. records necessary for further use by the Department. what information is shared and for what purpose? awareness and establishing a common operating picture. remaining data is analyzed and prepared for reporting. sharing and how they were mitigated. sharing external to DHS which includes federal, state and local government, and the private sector. shared, what information is shared, and for what purpose? necessary, appropriate, and authorized by law. PII will not actively be collected. However, if pushed to the NOC, the PII will be redacted. Information is only collected to provide situational awareness and to establish a common operating picture. what security measures safeguard its transmission? the privacy risks identified and describe how they were mitigated. provide situational awareness and to establish a common operating picture is shared. collected, the right to consent to uses of said information, and the right to decline to provide information. interact with individual personal users. the opportunity not to provide information exists prior to the informational post by the user. the information? If so, how does the individual exercise the right? situational awareness and establishing a common operating picture. unaware of the collection are mitigated. of the services they subscribe to for more information. access the system and are they documented? generally or specifically relevant to the program or system? system or systems supporting the program? place to prevent misuse of data? monitoring internet based platforms and information technology infrastructure. do the security controls mitigate them? technologies utilized by the system, including system hardware, RFID, biometrics and other technology. of the service provider in order to make themselves aware of technologies utilized by the system. concerns? If so please discuss their implementation.